Little Miss is the light of our home. I have wanted a daughter for…. Well, forever, and from the moment I knew she was coming into my life, she’s held my heart. As the youngest child in a busy family, she’s all too often overlooked. The dishes need done. I need to focus on teaching Bug math. Mr. Man needs to learn to read. I have obligations all over the place, at home, with the homeschool group, with Daddy’s unit. I’m busy, and poor baby gets the shaft. She’s easy going enough that I can put her in a high chair with a snack, or let her wander around the living room while I get things done. Even though she’s content, I can’t help but feel disappointed that I don’t have more one on one time with her. When I first heard about Flowering Baby, LLC, and their early childhood curriculum, I was skeptical. I am so busy. I don’t have time to teach a curriculum to my little one, and it’s not that important. Boy, was I wrong. 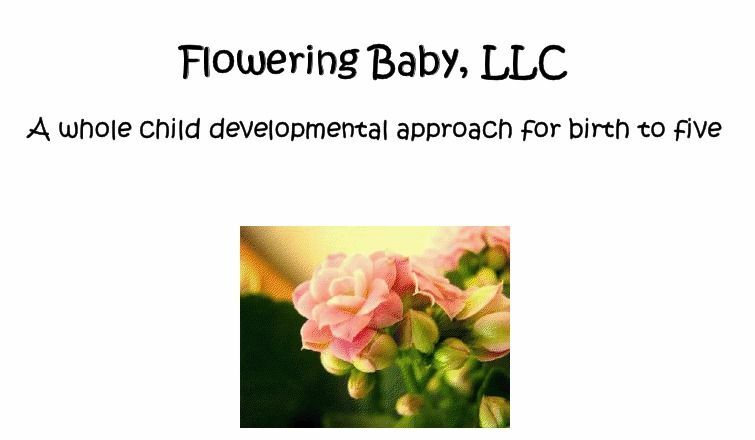 Flowering Baby is a full early childhood curriculum. 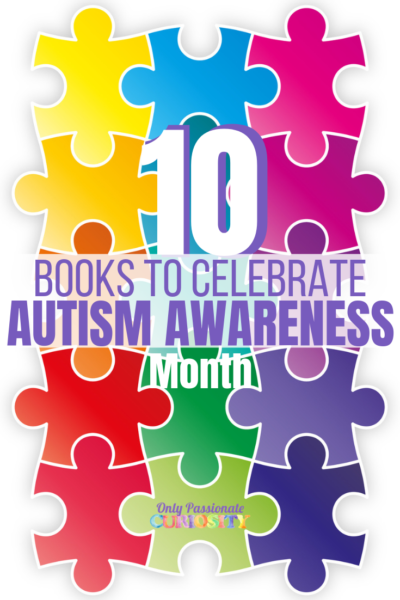 They cover everything, from birth to kindergarten, with easy to follow monthly lesson plans. This program was written by a mother/daughter team, with early childhood education expertise, and years of parenting experience. They understand the need for a simple, inexpensive, easy to follow program that both parent and child will love to do together. Flowering Baby is that program. 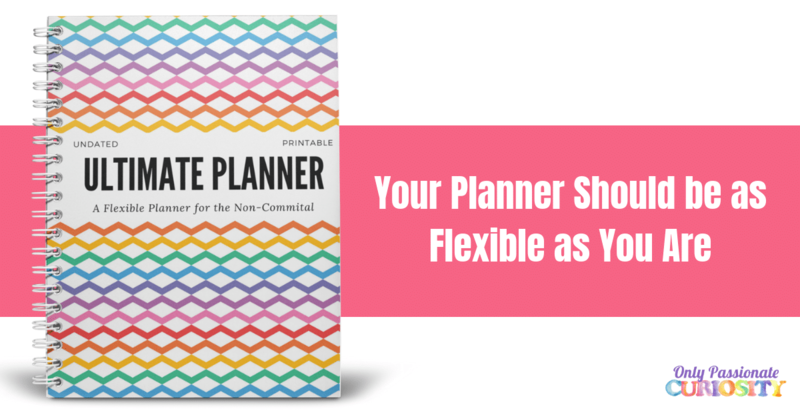 Each level is affordable, and easy to implement (even for a busy mother!). Flowering Baby is available in both CD form, or as a PDF download. 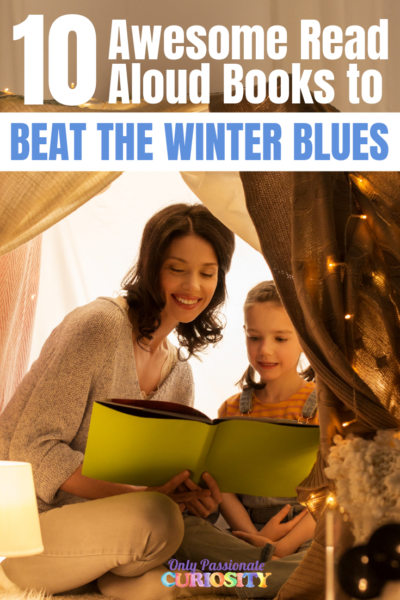 Along with the curriculum, all levels come with a book list, a music list, and recommended supplies clearly listed at the start of each month or unit. I was able to find all the books and music needed at my local library, and the supplies were common household items, easily found at the store or in my cupboard. Since all items were easily available, you could use this program with very little extra cost to you than the cost of the curriculum. The earliest three levels (for kids zero to three) are arranged into monthly activities by the child’s age. There are approximately 20 days’ worth of activities per developmental month (for example, the child’s 18th month), which take about 20 minutes a day. These levels all include work on basic skills (such as independent feeding and sorting objects), language (speech, pronunciation, vocabulary, reading), physical development and coordination (kicking a ball), creative explorations (painting, sensory activities), and music (appreciation and creating your own!). The oldest two levels are set up slightly different. Instead of being arranged by the child’s age, lessons are arranged by the calendar year and theme. There are both monthly activities, and unit studies, which combined should take about 20 days a month, for 30-45 minutes a day. These two levels are set up as a complete preschool program, incorporating Language Arts, Math, Science, Social Studies, Music and Spanish, as well as activities intended to “develop a solid and full foundation of cognitive, language, gross motor, fine motor, social and self-help skills in your child” as well as develop critical thinking skill and emotional intelligence. You will receive two files with levels Three to Four and Four to Five. The monthly curriculum guide can be started on any month (for example, if you finish Flowering Baby Two to Three in July when your child turns three, you’ll simply start level Three to Four in July, and work through it until the following June). The Theme Curriculum Guide can be done in any order, depending on topics of interest, season of the year and upcoming holidays. The Theme Guide for these two levels is almost identical, with a few added books and activities for the oldest level. This means you can combine preschoolers together if you have two children and both will have age appropriate activities to do. 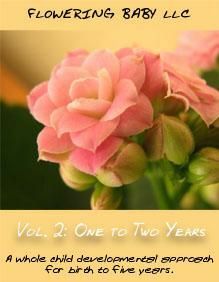 If you use it two years in a row, you’ll be able to dig deeper into the activities the second year. Little Miss used the One to Two Years old curriculum and we started with the 18th month. This program scheduled into my day also has helped me refocus my time so I make Little Miss a priority. It’s so easy to be “too busy” to sit down and play when I have so much else on my plate. Now, she will bring me books from her book basket, and clap along with songs. Little Miss knows that after breakfast is her time to have me all to herself. I love having that time alone with her. I also really enjoyed using this because it gave me practical ideas of what skills I could be working on with her at this point in time. For example, one of the days suggests teaching your child to drink out of a cup without a straw. This isn’t something I would have considered doing, because she does just fine with a sippy cup. However, there isn’t any reason she shouldn’t be drinking out of a “big girl cup”. To my surprise, when I handed her the cup and allowed her the time to work on this important skill, she picked it up with minimal fuss! Proud of herself- She doesn’t even mind the food on her face! Its little things like teaching a baby to drink from a cup that makes this level gold in my opinion. Things like bringing out a ball for the baby to kick, teaching them to walk up and down stairs, and teaching independent feeding skills are important. Sure, Little Miss would have done these things eventually, though mimicking and repeated exposure, but this program helped me focus on improving skills in a systematic way. 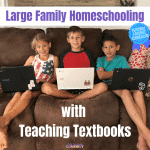 Overall, I feel that this program would be a good choice for homeschoolers, home day care providers and parents who want practical ideas and lessons to work with their young children. You can purchase Flowering Baby Levels Birth to One Years Old, One to Two, and Two to Three for 30 dollars, Levels Three to Four and Four to Five for 38 dollars. Or, you can get all 5 levels for a price of 132 dollars. For my lovely blog readers, Flowering Baby is offering a 10 percent discount using the code “Blog10”. Disclaimer: I received a free copy of Flowering Baby through the Schoolhouse Review Crew in exchange for my honest review. I was not required to write a positive review nor was I compensated in any other way. All opinions I have expressed are my own or those of my family. I am disclosing this in accordance with the FTC Regulations.